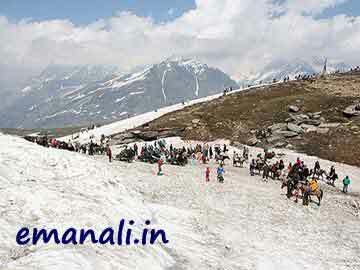 Get Solang valley Manali paragliding booking and white River rafting in manali cost here. Kullu has rich green forests, alpine meadows and high snow covered mountains, Which are perfect for skiing, mountaineering, trekking and other sports activities. The Kullu Manali paragliding cost is according to the areas of visit. You can also take the Kullu to Rohtang pass images yourself. It includes the most visited places in trip. The taxi give you the visit of most visited areas of location. 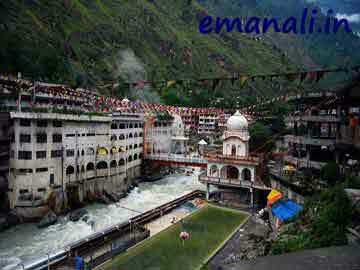 Manikaran :: Manali is in the region of Manikaran Saheb, that is situated at a distance of 35 kilometers from Kullu. The place is an great religious site for people of both Hindu and Sikh religions. There is a combination of Hindu Shiv temple and Sikh Grudwara that are located in this valley and near by. Trekking and Skiing:: There are various popular treks around the Kullu valley, but most of the trails are situated near the Rohtang. Best time to skiing is from January to march. It includes some best slopes, where you can enjoy skiing in summer season. Skiing experience in the fine snow covered slopes of the majestic Himalayas, is truly a memory of a life time. Contact us to know about temperature and weather today. Manali Snow Point :: Manali to Rohtang is 51 kms on highway to the Leh. It provides a panorama, spectacular and real valley view. Manali to Rohtang pass weather opens for adventures from July to October each year although trekkers can cross it earlier. There are stunning sights of glaciers, peaks and the Chandra river flows down in the lahul valley. Rafting :: Kullu is one of the most visited destination of India. For adventure lovers there is also available rafting. The rafting season starts from April mid to June and from September mid to October mid. This is the best time for rafting in kullu. Charges of river rafting in Manali season is around 500 to 1500 per person (negotiable). The Manali rafting cost is variable according to season time. 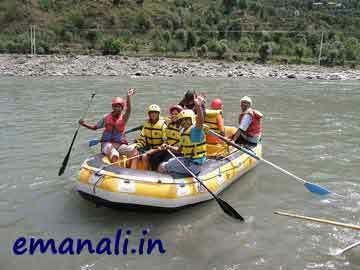 The Manali river rafting is the adventure sports experienced by the many tourists. Kullu Manikaran :: Kullu valley offers a wide scope of adventure activities for sport lovers. This is situated in the Parvati Valley of Kullu District. It is around 79 kms from Manali via Kullu town. It is famous for it’s Shiva temple and Gurudwara and also for his hot water springs. Paragliding :: It is become fast growing adventure activity for adventure seekers. The gliding trip over the beautiful mountains, becomes the ultimate experience. The tourists are most likely the paragliding Manali. Most of the traveler take the advantage of paragliding in Manali. 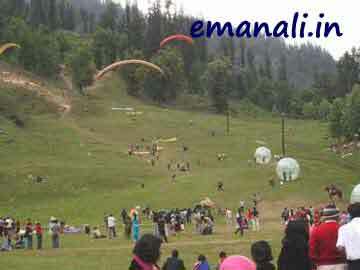 In Manali the paragliding charges are according to the crowd in the region. Solang Valley :: It is splendid valley between solang village and beas kund. It offers view of glaciers and snow capped mountains and peaks. Hadimba Devi Temple :: Doongri temple is dedicated to goddess Hadimba Devi. The four storey wooden temple is located in the middle of a forest called Dungri Van Vihar. This Mandeer was built by Raja Bahadur Singh Ji of Kullu.